The Situated Urban Political Ecology Collective is a collaborative space for researchers to develop and present work in the field of Urban Political Ecology. We are a collective of researchers interested in the politics of the urban environment, primarily in the global south. Building on insights from postcolonial studies and political ecology, we seek to develop interventions that politicize urban and environmental theory and practice through publications, workshops, chatting on public transport, and immersing ourselves in cities. Please get in touch with suggestions and ideas, or to share your work through commentaries or notices. Dr. Mary Lawhon is an urban political ecologist based at the Department of Geography and Environmental Sustainability at University of Oklahoma. Empirically, her work has focused on waste, alcohol and housing. Conceptually, her works seeks to a) politicize theory and practice, including the politicization of sociotechnical transition theory, and b) provincialize theory and practice, including urban and urban political ecological theory. Her approach is informed by nearly ten years of experiences in South Africa since 2002, including work at the Universities of KwaZulu-Natal, Cape Town, and Pretoria, as well as a lot of informal conversations, long walks, public transportation and volunteering with the NGO Earthlife Africa. Postdoctoral researcher, Institute of Geography and Sustainability, University of Lausanne, Switzerland. 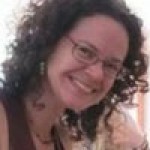 Keywords: urban political ecology; governmentality; everyday governance; India; water; sanitation; urban water bodies; urban parks Anna’s research interests focus on urban political ecology, which she would like to take further in the exploration of ordinary cities and the everyday practices and politics found here. 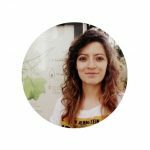 In her PhD research on water and sanitation, she has investigated questions of urban governance, governmentality, the everyday state and explored questions of equity and informal housing. 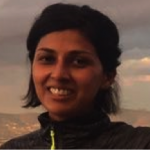 Her current project studies environmental governance in small cities of Gujarat, with particular attention to parks, ponds, and solid waste management. More info. Prince Guma is an urban imaginer, rural optimist and a PhD candidate at Utrecht University. His current research is at the intersection of Urban African Studies, and Science, Technology and Society (STS). 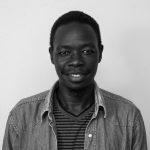 His project focuses on the centrality of mobile technologies in Nairobi and how these shape interactions between infrastructural systems, between systems and society, and thereby, the city as a sphere, nexus and junction of and for innovation. Prior work has questioned how forces of urbanity, rurality, postcoloniality and contemporaneity elucidate, obscure, affect or are affected by everyday processes, practices and materialities. 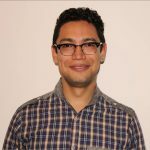 He is a research fellow of Harry Frank Guggeinhaim (HFG) Foundation's “Young African Scholars” programme; and IASSCS–Ford Foundation's Emerging Scholars International Research Fellowship Program. PhD researcher in human geography, University of Manchester. 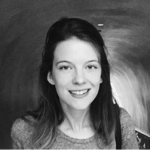 Kathleen’s research considers how initiatives promoting community responsibility for waste management affect infrastructure, labour and livelihoods in South African cities. Her research is part of the Turning Livelihoods to Rubbish? project, supported by the UK’s ESRC-­DFID Joint Fund for Poverty Alleviation Research. 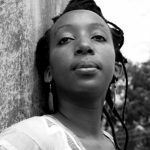 Wangui Kimari works as the participatory action research coordinator for the Mathare Social Justice Centre in Nairobi, Kenya, a community-based organisation in the poor urban settlement Mathare. The organisation strives for social justice by means of community engagement and the use of social movement platforms. Zachary Levenson is a sociologist studying the politics of housing in post-apartheid South Africa. He’s currently working on a book entitled Delivery and Dispossession: Evictions, Occupations, and Housing Provision in Post-Apartheid South Africa based on years of ethnographic fieldwork in Cape Town. His work has appeared in Contexts, International Sociology, and Catalyst, among other places, and he is a regular contributor to Africa Is a Country. More broadly, he asks how political sociology allows us to reimagine urban sociological questions. He is currently based at the University of California, Berkeley, and is a fellow at the Institution for the Study of Societal Issues. Emma Colven is a Geography PhD Candidate at UCLA. Her research examines contestations over flood mitigation and expert knowledge in Indonesia’s capital city. PhD Candidate Urban Studies and Planning, Portland State University. 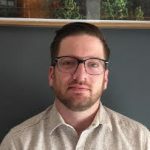 Anthony Levenda studies urban infrastructure networks, climate change, urban theory, planning theory, energy systems, and socio-environmental systems drawing on science and technology studies (STS) and urban political ecology (UPE). 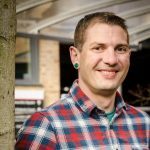 He is working on his dissertation that investigates urban environmental knowledge production in climate change “experiments” and low-carbon “laboratories” in the US with goals to continue this research in cities around the world. PhD Candidate Urban Studies and Planning, Portland State University. 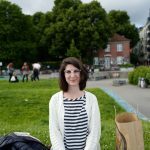 Erin’s research interests include the political economy and ecology of cities, politics of sustainability, gentrification/displacement, community organizing and social movements, and popular education. For her dissertation research, she investigates collective action processes related to land use decisions along the Willamette River in Portland, Oregon (U.S.). More info. 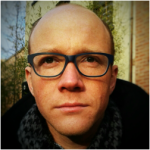 Patrick Bigger is a lecturer of critical human geography at Lancaster University, UK. His research focuses on financial practices for managing environmental change, including carbon trading, green debt, and private equity for biodiversity conservation. His research sites range from the Kenyan highlands to global financial centers to better understand how finance is (and isn’t) enrolled in new modes of environmental governance. Faculty Member, School of Environment & Development/Institute for Development Management & Policy, University of Manchester Profile and more information. 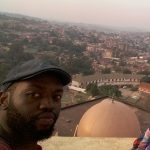 Joel Ongwec is a documentary film maker and creative researcher based in Kampala. 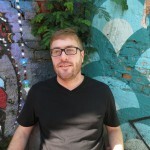 Jacob Doherty is an anthropologist researching the politics of belonging and exclusion, infrastructural violence, and the materialities of urban environments in contemporary cities. Currently, he's working on a book entitled Waste Worlds: Kampala’s Infrastructures of Cleanliness and Disposability based on ethnographic research in and around Kampala, Uganda's diverse waste streams. Sophie Webber is a Lecturer in Geography in the School of Geosciences at the University of Sydney. 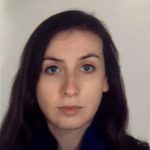 Sophie studies adaptation and urban resilience projects in South East Asia and the Pacific with a focus on their knowledge claims and financial practices. 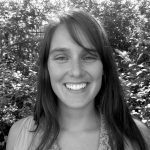 Beth Oppenheim-Chan is a postdoctoral researcher in the Department of Environmental & Geographical Sciences at the University of Cape Town. Her research in Mozambique focuses on civic engagement in city life, and the intersection of responsibility, assistance, and identity in the Global South. 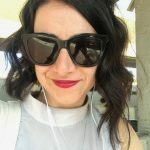 She is also currently also working on a British Academy Newton-funded project entitled “Food, Ethics & Identity in the Post-Apartheid City,” a multi-city study of consumption and its relation to ethics in South Africa. Associated Researcher at Centre for Conservation Studies from Universidad de San Carlos de Guatemala. My key interests in urban ecology involve the study of landscapes using biophysical to cultural perspectives with reflection on landscapes from ecology, geography, history, anthropology and political ecology. I also draw upon systems and complexity thinking to understand patterns and processes in urban socio-ecological systems.